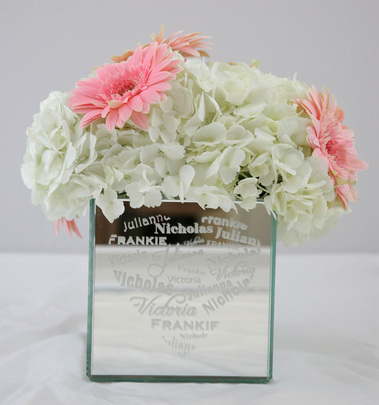 Add as many names as you like to this 6" H x 6" x 6" square mirrored vase. Names will be arranged to create the shape of a heart. Don’t worry, all kid’s names will appear an equal amount of times. 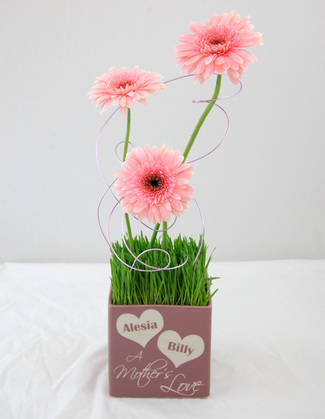 Shown here with white Hydrangea and pink Gerbera daisies but could also hold a potted plant. 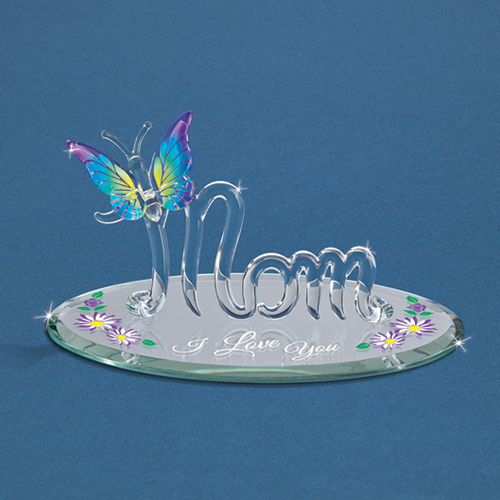 This 5”H x 12” x 4” light green, ceramic floral arrangement holder has a vine with leaves etched across it. Can be made for grandma or mom. 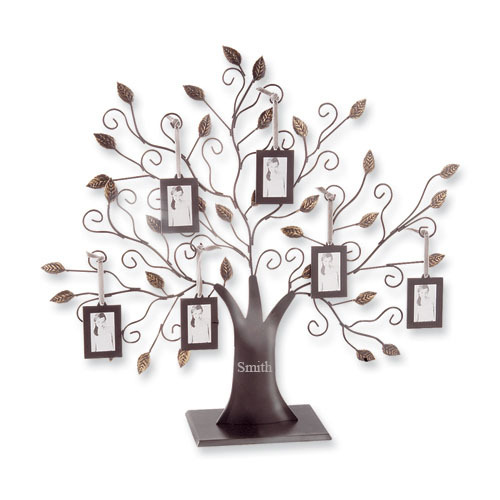 Have their grandchildren or children’s names etched into the leaves. 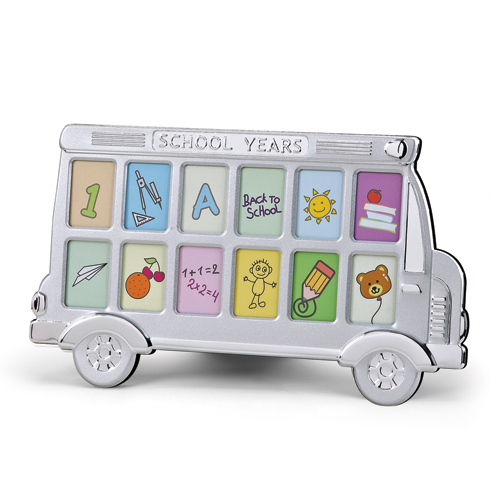 This piece can have names added to it in the future. 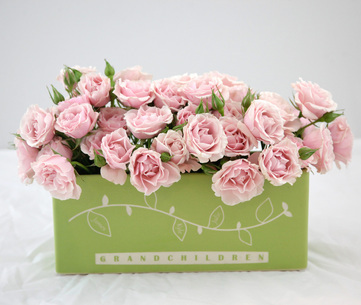 Shown here with baby pink spray roses but can also be used as a planter. This mirrored rectangle measures 4”H x 4” x 12”. Add important dates to the leaves of the flower whether birthdays or weddings dates of her children or change it from dates and add names. Can be added to in the future. 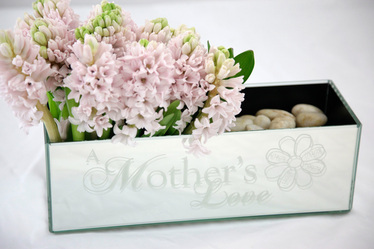 Shown here with Hyacinth and river rocks but can hold fresh cut flowers or a plant. 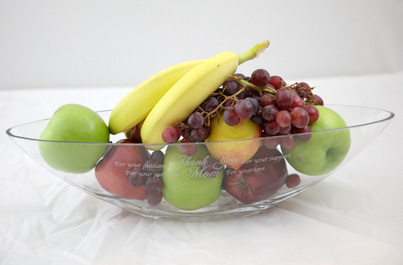 Thank Mom for her patience, guidance, encouragement and love with this 5”H x 18” x 6” glass fruit bowl. Can also be used as a floral arrangement holder. 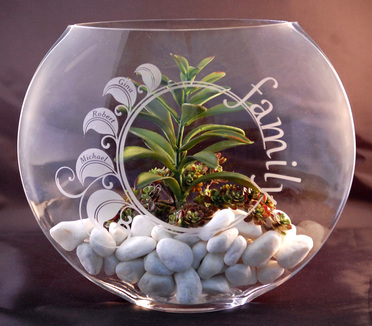 This 9.5”H x 11” x 3.5” flat bowl is etched with the word family following a circle of leaves that you can have names etched into. Fill all the leaves or I can add more at a later date. We added artificial succulents and snow white river rocks for an eye catching display. 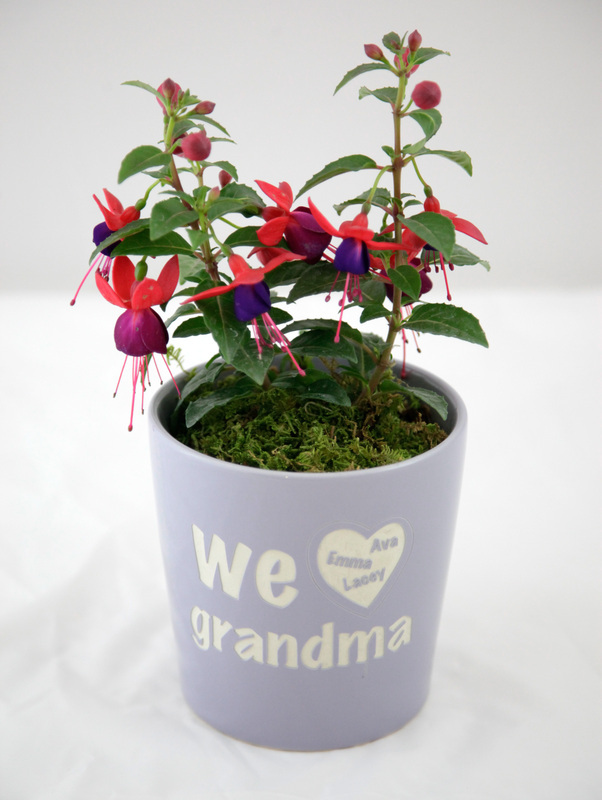 This 5" H x 5" Ceramic Round Tapered Light Purple pot is the perfect little plant holder. 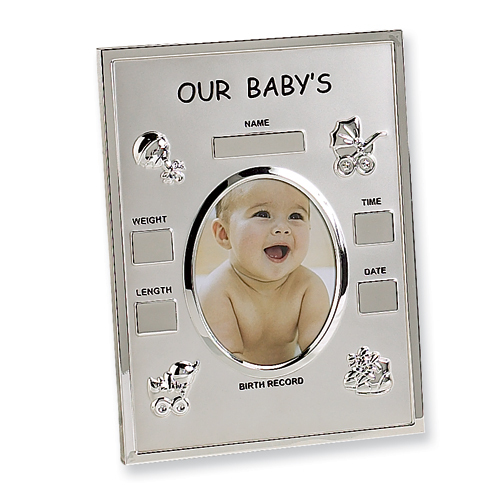 Change the “We” to “I” , tell me if it’s for Grandma or Mom and add the children’s names to the heart.